Empowering women and children to transform from poverty to prosperity, two generations at a time. 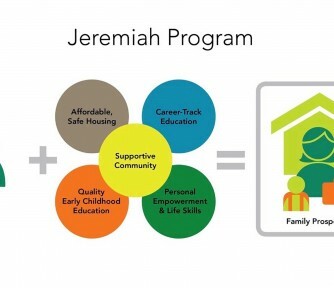 Jeremiah Program is a vibrant and proven nonprofit organization that offers one of the country’s most successful two-generation anti-poverty solutions for families headed by single mothers. Our mission is to transform families from poverty to prosperity. 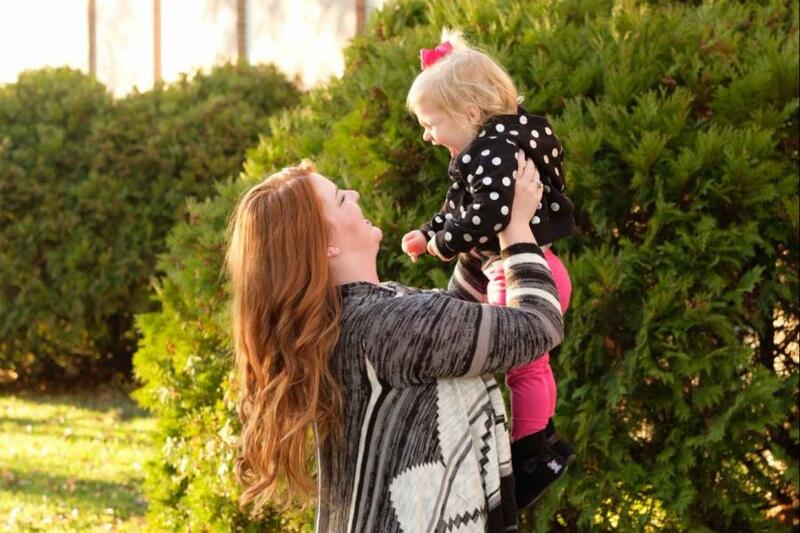 We partner with diverse single mothers living below the poverty line and their young children to advance social and economic mobility for both generations. 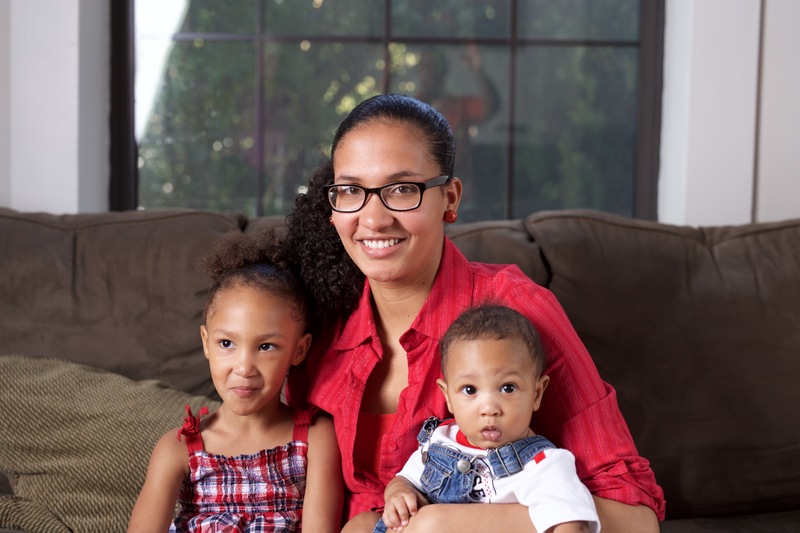 Jeremiah’s proven, holistic approach begins with establishing a supportive community for determined single mothers to pursue a career-track, college education. 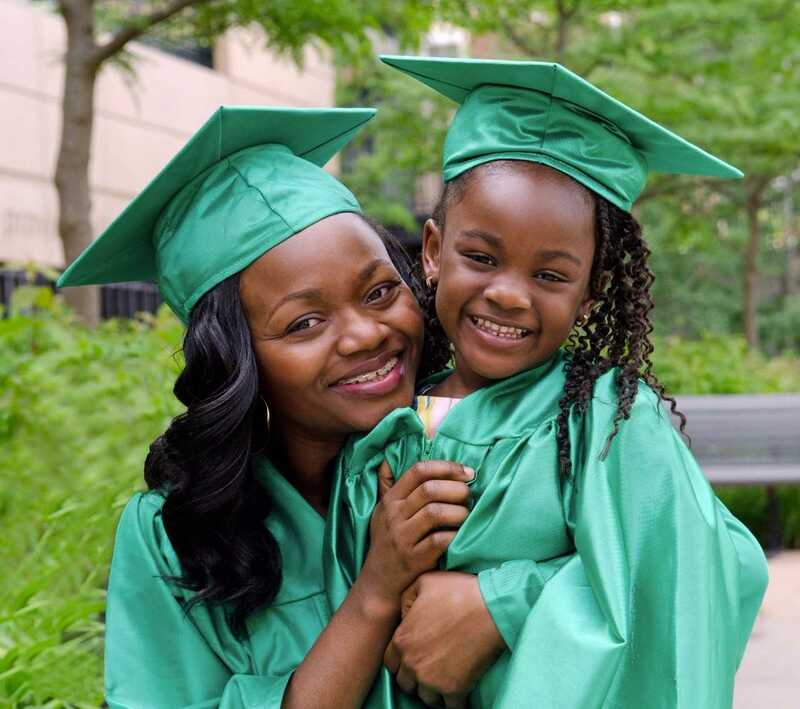 With this support—and a combination of quality early childhood education, a safe and affordable place to live, and empowerment and life skills training—families find stability and a pathway out of poverty. Since our founding in Minneapolis in 1998, we have proactively captured the lessons learned and best practices from experience to inform the manuals, tools, and strategies that have come to define our program model. 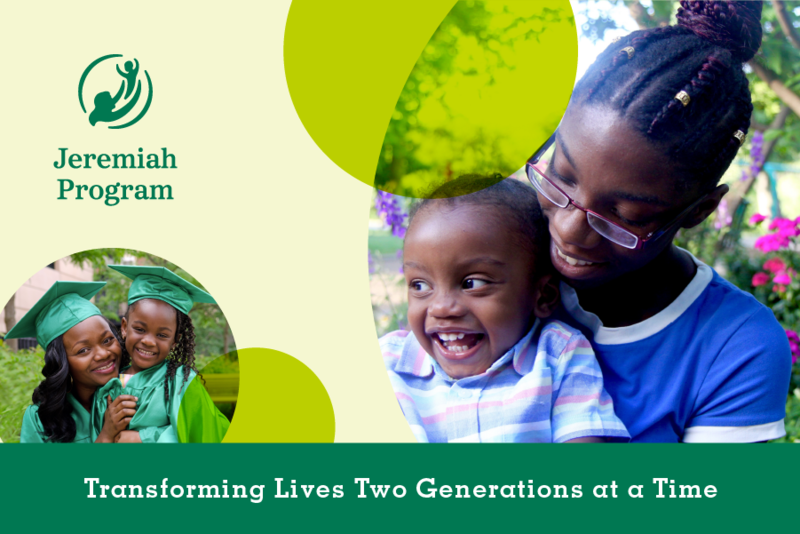 A recent survey of Jeremiah alumnae showed that 100% of graduates are living in safe housing, 91% are employed or continuing their education, and 81% of their children are performing at or above grade level; 80% have moved their families from below to above the Federal Poverty Line, demonstrating Jeremiah’s impact on the wider community. 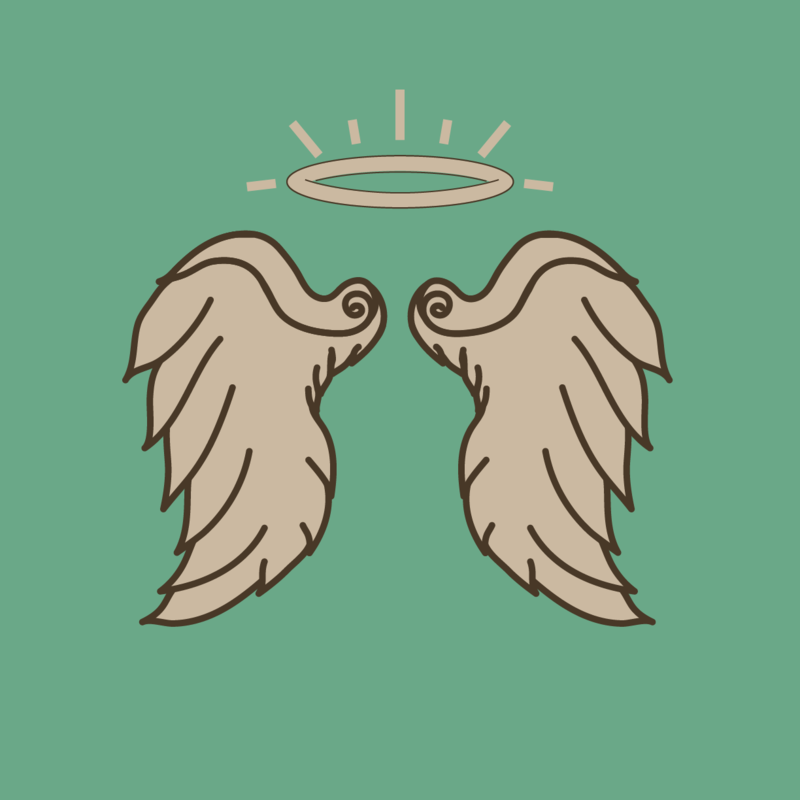 An external analysis determined that every dollar invested in Jeremiah returns up to four dollars in social benefits (Wilder Research 2013). 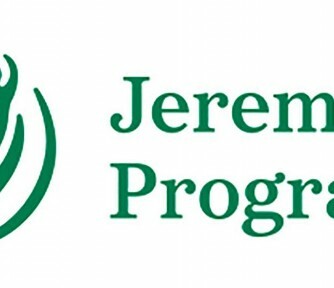 Have experience with Jeremiah Program ?